THEN YOU'LL BE THRILLED BY HIS LATEST BOOK! Sue Delamere escapes from a dreary job in the North of England by accepting a job as university lecturer in what seems like heaven-on-earth. Her euphoria is soon shattered when she realises that she has walked into a hornet's nest of corruption and evil, a regime presided over by the sinister Big Mama, Official Consort and Hostess to the elderly President, Samson Matata. In danger of disappearing into prison for alleged seditious teaching, Sue and her close friend, fellow lecturer, Dr Mike Goodman - fight back. Big Mama is my eighth book and it is a very different kettle of fish from my earlier works. The first books I wrote were a saga telling the story of Billy Hopkins‘ family over a period of more than a century (1886 – 2008) and, although there were seven books, it was really one story in seven episodes (a so-called roman-fleuve). Big Mama is a completely different genre. I am also using a new publisher on this occasion since Headline, my previous publisher, felt that the new genre might prove too much of a change for many of my regular readers who have come to expect homely family stories from me. I hope that those of you who have been hoping for more of the same won‘t be disappointed by this present effort. At least, you have been warned to expect something very different from the usual Hopkins family saga! I would love to hear your reactions preferably by e-mail after you have finished the book. Big Mama is a political thriller which takes place around the present time in a fictitious African country, Zambelia. The country in which the story is set, is not be found on any map, and the characters, together with the members of the British government delegation described therein, are equally imaginary. The history of Africa in the second half of the nineteenth century was characterised by the so-called scramble for Africa as the big European powers squabbled with each other for bigger slices of the continent's cake. The second half of the twentieth century witnessed a frenetic dismantling of Africa as the same powers vied with each other in their rush to hand back freedom to the indigenous peoples. The nineteenth-century colonial mapmakers had drawn straight lines of demarcation which cut arbitrarily across natural features like mountains, lakes, forests, and social entities like extended families and tribes bequeathing a legacy of tribal tension and hatred. Given this situation, our present administrators have tried to graft a series of nation states on to territories whose borders relate to no social or historical boundaries. In addition, models of European-type democracy – evolved over centuries of struggle and compromise - have been forcibly introduced to the new states. The slogan 'One Man - One Vote - ONCE!' became the sick joke of Africa as country after country reverted to its traditional pyramidal social and political power structure. Dictatorships supported by large 'school-certificated' bureaucracies sprang up everywhere. The sole route to wealth and possessions (for oneself and therefore naturally for one's extended family, village, and tribe) was perceived to be through education and participation (especially of the corrupt kind) in the government machine rather than through the possession of entrepreneurial and commercial know-how. It is against this backdrop that the story of Big Mama takes place. Sadly, I have now just finished reading your latest novel Big Mama. I say 'sadly' because once again when I finish reading a Billy Hopkins book its like coming to the end of a good companionship. Your books always give me so much pleasure. Your style of writing is so relaxing for the reader. When I start one of your books I want to carry on reading without stopping, it’s rather like munching your way through a box of chocs! One appreciates them so much more if they can be rationed out a little, plus the fact that it gives one something to look forward to, and so it is with your books. I am currently struggling with a novel by another 'well known' author but I keep feeling abandoned as she jumps around from scenes and characters. I will probably persevere with it but it’s not the enjoyable experience I have with the books of Billy Hopkins. 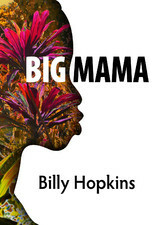 Big Mama was truly different from your earlier 'family' autobiographical novels. I had to wait patiently until Terry (as in Terry Reeves my other half) had read it before I could wrestle it from him. It was a new 'adventure' reading something so different from your earlier books but the same 'Billy Hopkins' magic is there throughout. It helped a great deal having experienced something of Africa on my trips with Terry. Listening to his accounts of life there together with that of friends mirrors very much the stories in Big Mama, and could only be written from one like yourself, who had lived and experienced life there. I do wish you every success with the book and I am left wondering if you still have energy to treat us all to another Billy Hopkins novel in the future?